Unraveling the twists, the Tails (get it?) 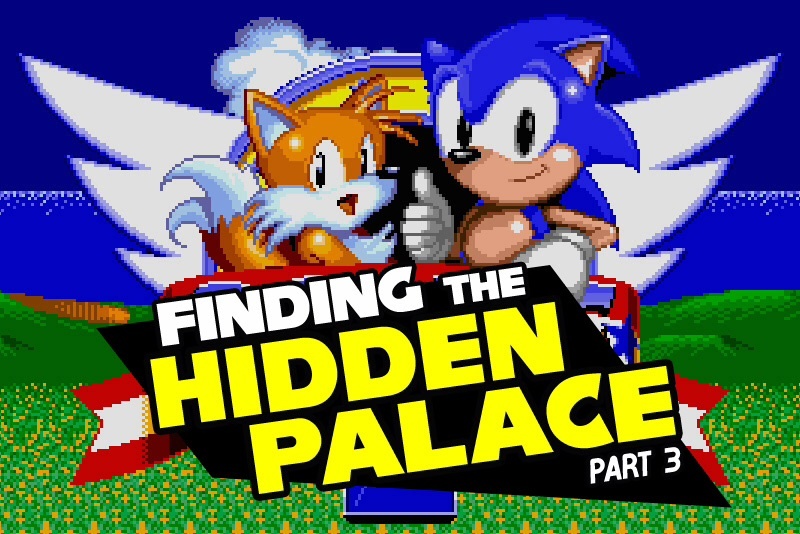 and the mysteries behind Sonic 2’s infamous deleted level, Finding the Hidden Palace – Part 3 picks up the story in Christmas 1998. As a period otherwise marked as the death of the 32/64-bit era, the Sonic community had never felt to alive. At last, their holy grail had been unearthed – the ‘Simon Wai Prototype’, one of Sonic 2’s earliest beta revisions. Not only did this prototype reveal Sonic 2 in one of its most rough and raw forms – unveiling long lost Badniks, and unreleased zones – for the very first time, it also provided gamers their first opportunity to play the mythical Hidden Palace Zone. “It was Christmas 1998 when Simon made his discovery of filename ‘MD8123.smd’, the self-same ROM file that he had loaded upon his Super Magic Drive six years previous. As he swiftly shared the news of his beta discovery upon the alt.binaries.emulators.sega newsgroup, word spread faster than a spin dash. Whereas Hidden Palace was previously confined to hazy magazine screenshots and black-market cartridges, in the blink of an eye, the once reclusive level was there for all to explore. For the full article, head over to RetroCollect.com. …And stay tuned for the concluding article in the series: Finding the Hidden Palace – Part 4.